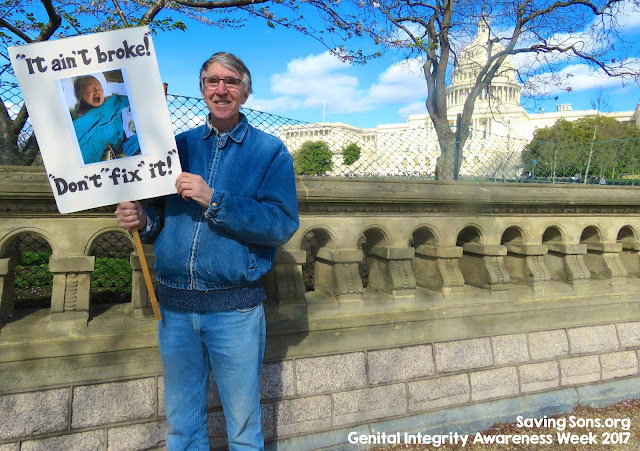 Genital Integrity Awareness Week 2019 takes place March 28-April 3 and we need your help to make this year's Washington D.C. event a powerful one! 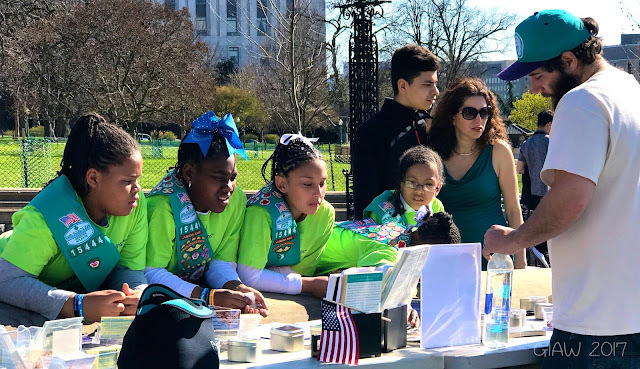 As advocates travel to D.C. to participate, and floods of tourists the world over gather in D.C. for the height of the annual Cherry Blossom Festival, we strive to have intact materials on hand to reach a large number of people at our nation's capitol. These are items that parents and professionals, young and old, from all backgrounds and locations in life will want to take home with them for further review. 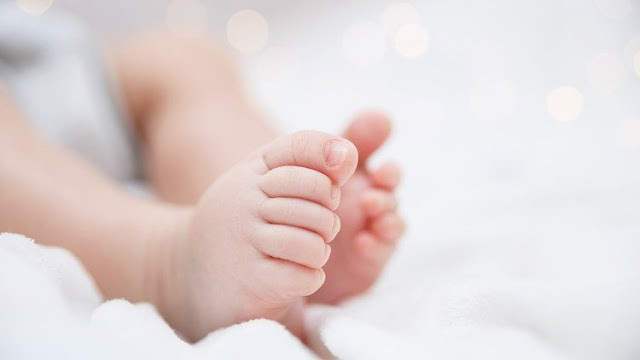 Making this happen takes a significant amount of planning, organization, and resources on the part of many people, and it also takes financial support. 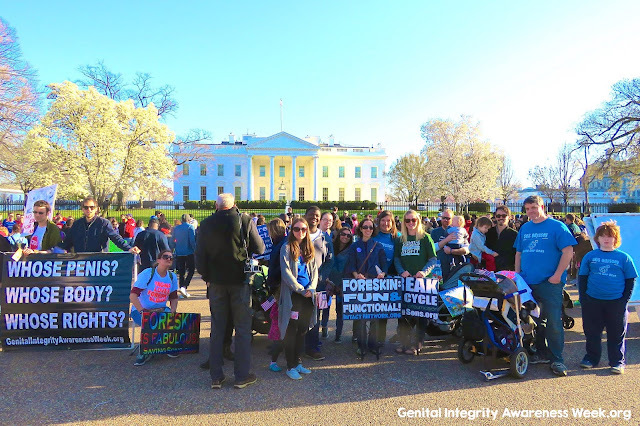 We are standing with a dozen others in front of the U.S. Capitol, with giant pro-intact signs that draw people in, and can be seen from the streets all around the Capitol's bus route. A group of 200 senior high students come up, interested in what we have to share. Teachers shuffle students along for group photos, and we have mere minutes to plant seeds of information, respond to quick questions, and get interesting materials into hands of these future parents -- materials they eagerly take with them because their curiosity is spiked! 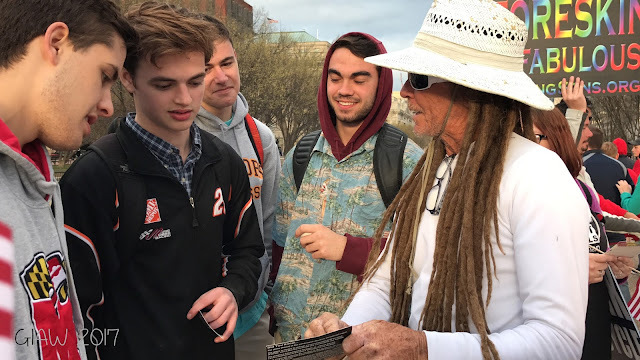 Students grab things to take back on the bus (bracelets, cards, stickers, buttons), and look things up on their phone on their way to their next destination... This happens every single hour. Multiple times a day. Sun-up to sun-down. The need is great for GIAW. The impact is monumental. And we need your support in this important effort. 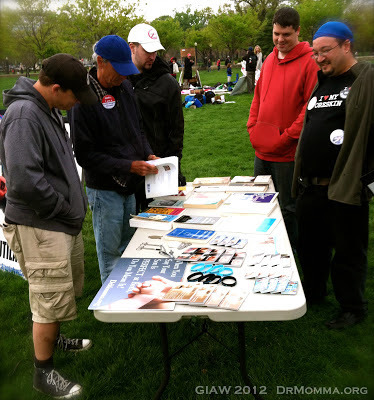 The Men's Health table includes a variety of restoration devices for men to hold, learn about, and explore their options; information on adult sexual health, and the impact that genital cutting and restoration has on adult men and their partners. The Baby Health table includes instruments used in infant circumcision, information on the purposes of the foreskin, intact care materials, and resources for parents to pass on to friends and their home care provider. This table also has items for our young visitors because families who stop to talk often have children who want things of their own (child sized bracelets, stickers, bubbles, coloring pages, flags, hats, etc.). 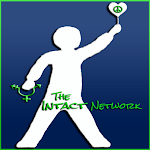 Business Sponsors: Please include a note with your GIAW contribution and your organization name/URL that you'd like to have linked (website, Facebook page, etc.). With your support of $100 or more, we invite you to provide an image/logo or coupon to be shared with the community at large. 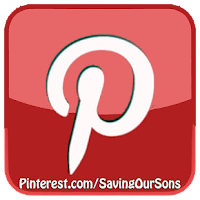 Email this to SavingSons@gmail.com, or we will create one for you. 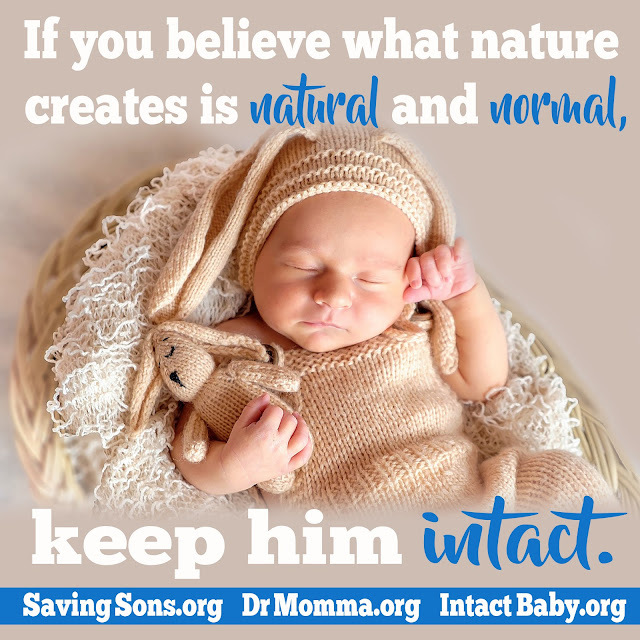 Your business or group will be featured at at the main GIAW website, at DrMomma.org, and at SavingSons.org, as well as with social media circles of Peaceful Parenting, Saving Our Sons, The Intact Network, GIAW, Intact State Chapters, and be permanently linked at Genital Integrity Awareness Week and found on Google. Individuals: If you are sponsoring in honor of someone, we invite you to include a message with your gift and it will be included below. Individual sponsors will be listed by first name, last initial only for privacy. Supporters: All supporting GIAW 2019 with your gift of any amount will receive commemorative vinyl decals with additional intact awareness stickers to plant in your area, if a mailing address is provided. For GIAW sponsors giving $25 or more, a registration pack (below) will be shipped, or can be picked up in DC. Thank you for supporting GIAW! Please visit and support these intact-friendly businesses and groups! If you're in the state of Tennessee, join us! Thank you greatly for your generosity and support! A very special thank you to Kirk for sponsoring 50% of all GIAW 2019 expenses! 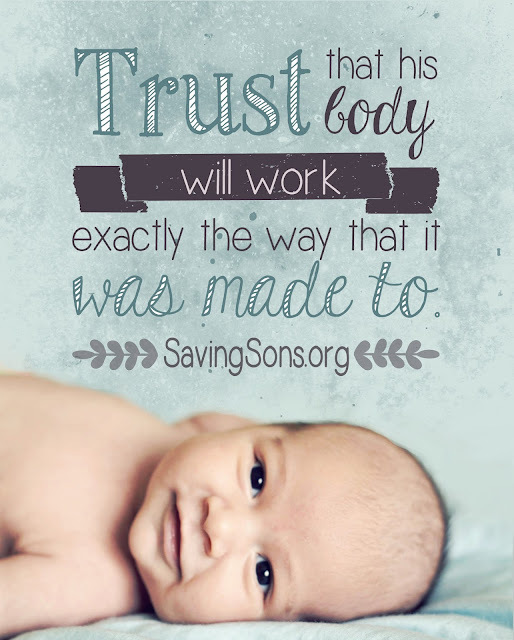 and the future men we will save who will be 'born perfect' as babies this year!" 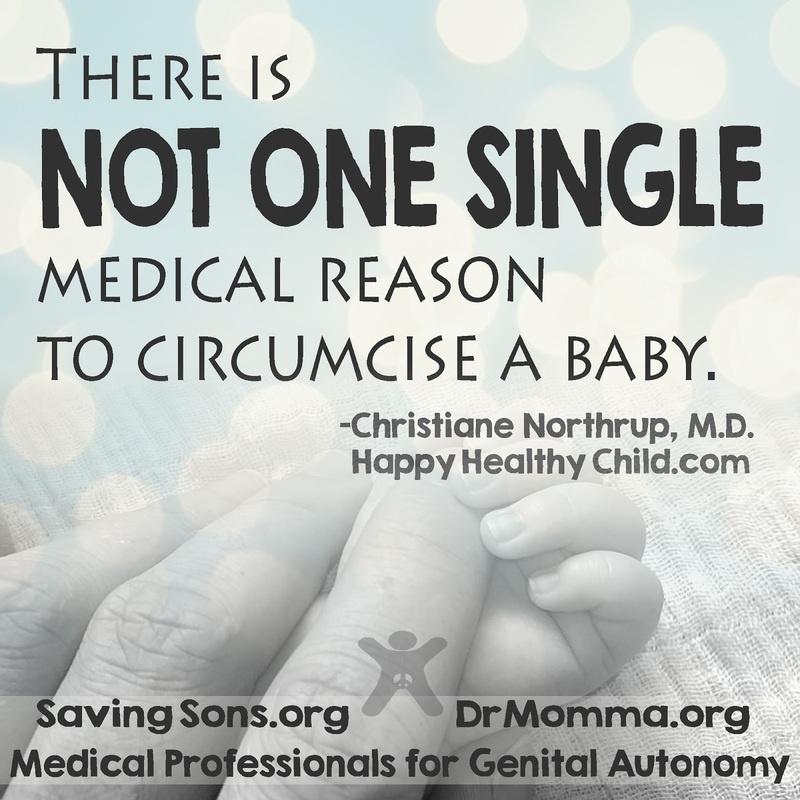 "I hope to one day see a world where we no longer suffer under genital mutilation. I can't afford much, as I am fighting my own battles, but I hope this helps bring us closer to a pain free future. Free from depression, resentment, suicidal thoughts, and shame. Keep fighting the good fight, for those of us who can't." 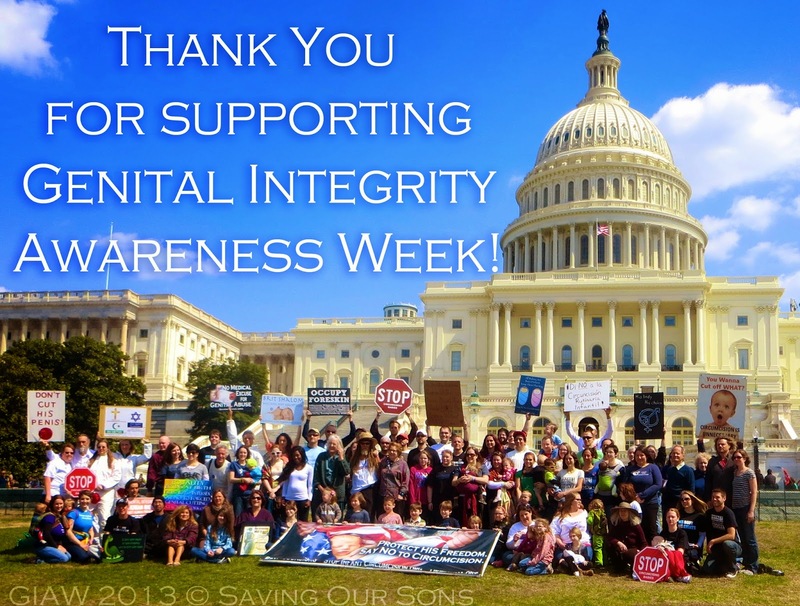 "Thank you all for working so hard for this important cause!" A big thank you to Roger for donating the funds needed to add 2 additional (used) circumstraints to the Silent Survivors Stand (to be used at expos across the nation throughout the rest of the year as well)! A very special Thank You to Robert for donating funds needed for one full (used) circumstraint! 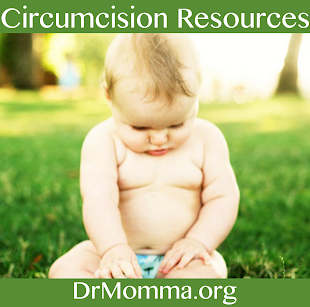 Sincere Thank You to Kirk for donating funds needed for one full (used) circumstraint! "In support of friend, Shane Brewster." Unless we reach full funding, we cannot purchase new kids signs this year. 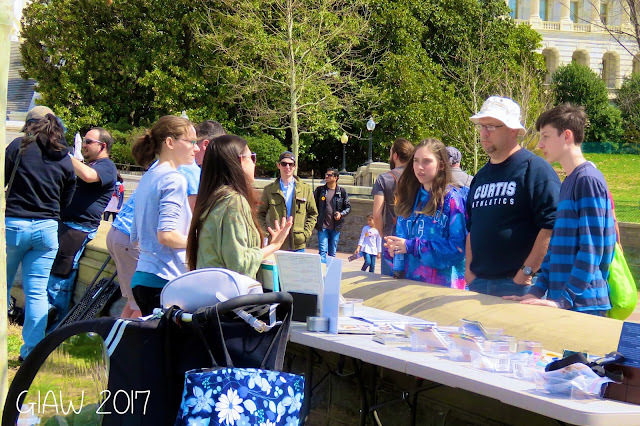 If your children borrow a sign at GIAW for the march, PLEASE return it to David's wagon so that they can be used through the rest of the GIAW week, and at rallies in the future. If you'd like to keep the sign you carry, replacements are $20 that can be given to David Wilson, Danelle Day, Karen Glennon, Christina Heydecke, Nick Baade, or Brian Brown. Thank you! $600 new giant banners for self-standing on each side of the Capitol West Wall, and signage that will continue to be used throughout the year for rallies, expos, events, and future GIAW dates. 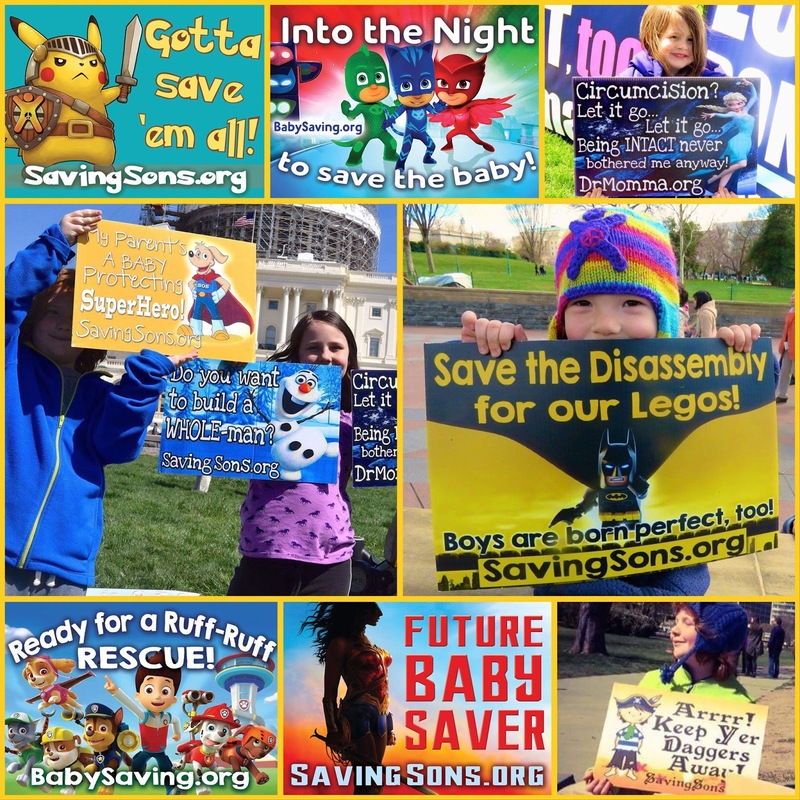 We especially need 2 new giant vinyl banners with positive, pro-intact messages; we need to replace PVC frames for most of the banners at GIAW this year (approximately $20 per banner to build), and we need a few new signs appropriate for children. 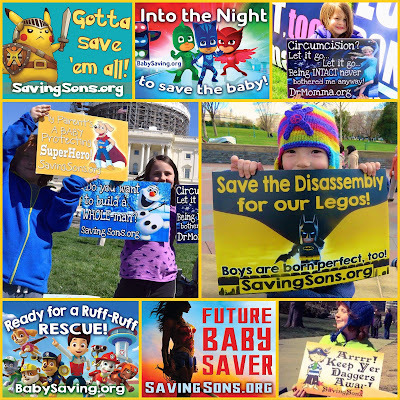 Kids love to participate alongside their parents and need fun, age-fitting signs. $700 professionally printed materials to give away at GIAW 2019. 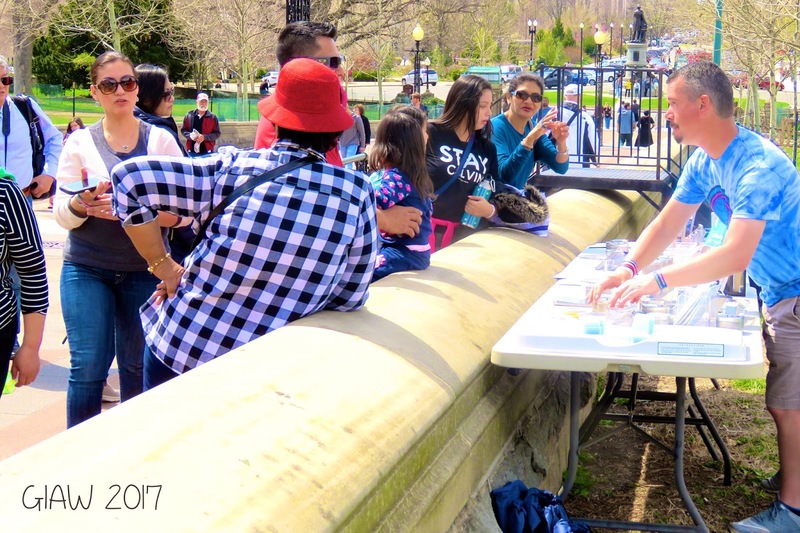 This week-long event functions as an expo, with booths of items that are entirely free for the public, meeting with people across the West Lawn from sun-up to sun-down each day for 7 days. Having enough well respected, quality literature on hand is crucial to GIAW's success. $400 flags for passing out each day during GIAW, as well as along the march route, and giving away at the White House. Each flag will have intact information attached to it on both sides. 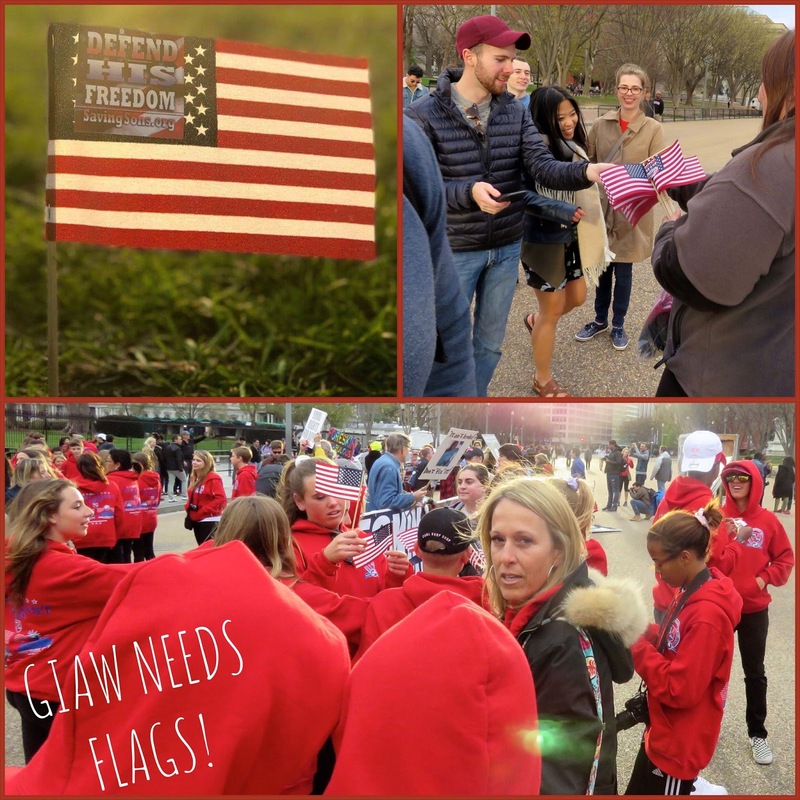 Flags are *very* popular in DC, at the Capitol, and White House, and frequently chaperone groups who will not allow students to take other materials from GIAW leaders will allow them to accept and take home flags, a hat, or bracelet (getting intact material into their hands). It is important to have enough flags (with stickers attached to each one) for every day during GIAW. $650 bracelets, buttons, water bottles, and baseball caps to give away throughout the week. These items are key in that they are the most requested items, especially by students - tomorrow's parents. We need materials that young people desire to hold onto, take home with them, and spark interest enough to check out the websites/share with friends. Awareness is key! $50 two full-color, full-page books of intact celebrities - one for the men's health booth, and one for the front West Wall of the Capitol where the most conversations take place. $100 demonstration glans/foreskin models (in multiple skin shades) to highlight the normal adhesion of the foreskin to the glans/shaft in infancy, and the probing, severing, and cutting that must take place for infant circumcision to be achieved. These models are highly useful in one-on-one or small group education at expo booths. 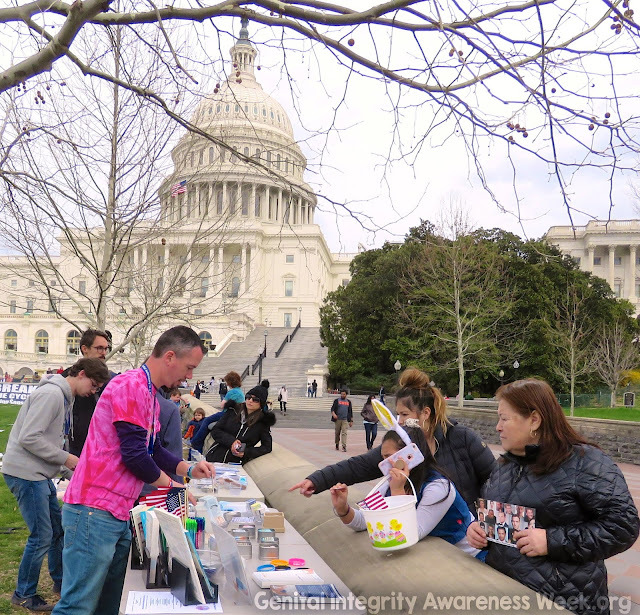 If GIAW funds are raised beyond those needed, we will have intact material packs available to go home with people (U.S. advocates, leaders, teachers, and international educators who visit the Capitol during GIAW often ask for packets they can take back home with them to share). 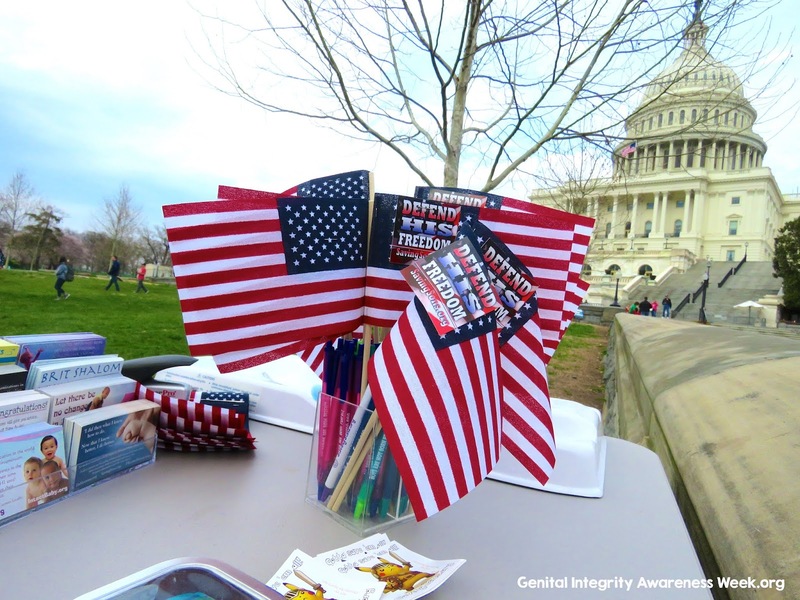 1500 hand-held U.S. flags are needed to pass out during Genital Integrity Awareness Week in Washington D.C. this year. Each flag has 2 patriotic-themed intact information sticker stapled to it (one per side) for awareness raising during this week. 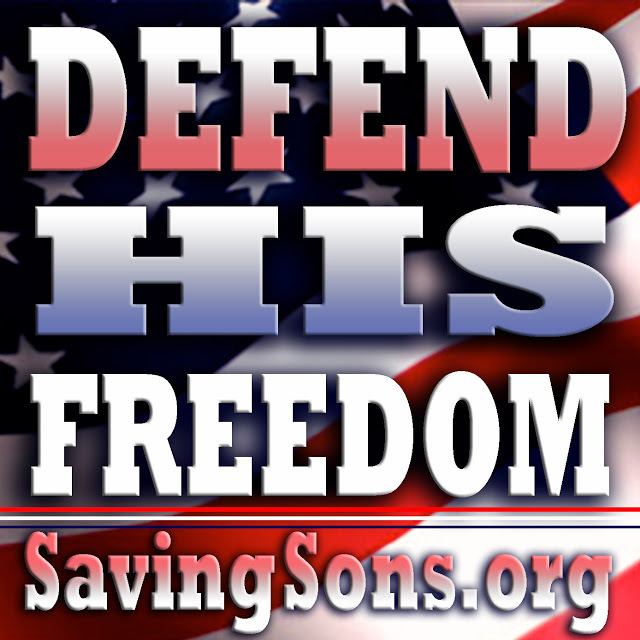 This year we will have "Defend HIS Freedom" on one side and "watch American Circumcision on Netflix" on the other side of each individual flag. Flags are *very* popular in Washington D.C. during the Cherry Blossom Festival, National Kite Festival, at the U.S. Capitol lawn, and at the White House where we march to on Saturday. We could pass out far more than 200 flags per day, but this is our goal to raise funding for, along with an extra 100 for the GIAW March (1500 total). 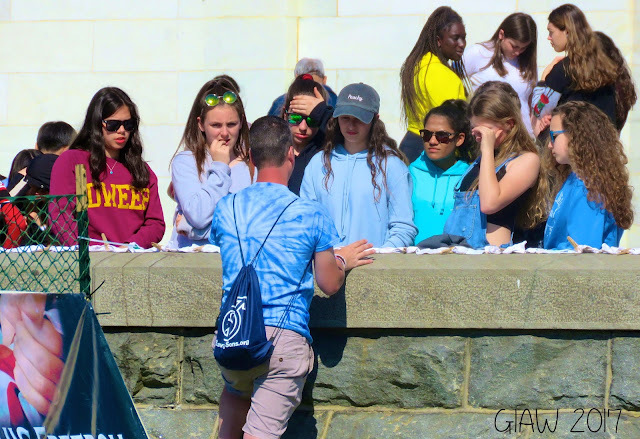 Frequently, chaperoned groups who will not allow students to take other intact materials from GIAW leaders will allow them to accept and take home flags (getting intact info into their hands)! 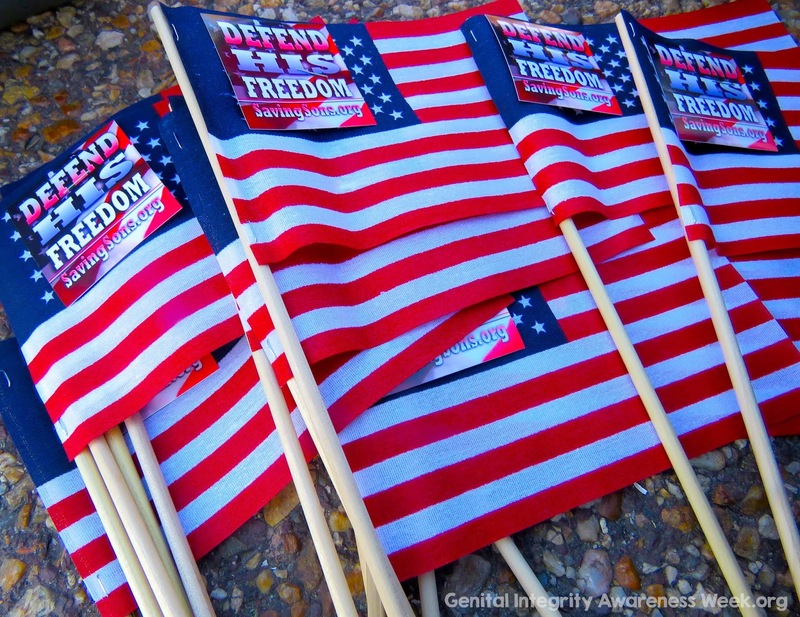 It is very important to have enough of these U.S. flags (with stickers attached to each one) for every day during GIAW, and for use during the march. Sponsors will be listed here and at the permanent GIAW site by first name, last initial only for privacy, or with a business name and link if you'd like to include this. Virtually ALL passerbys request a flag or two to take home with them -- until we run out of supplies. Kids love to hand out flags during GIAW too! 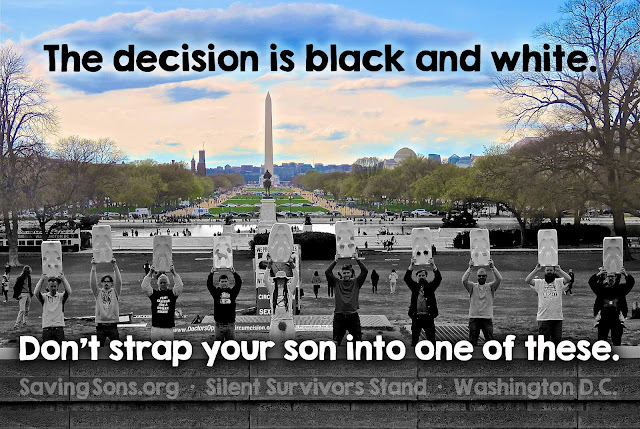 We have the opportunity to purchase 3 (used) circumstraints for use with the Silent Survivors Stand. 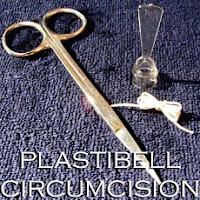 New circumstraints retail at a hefty $560, and we do not wish to support the manufacture of these devices to grow the powerful SSS. 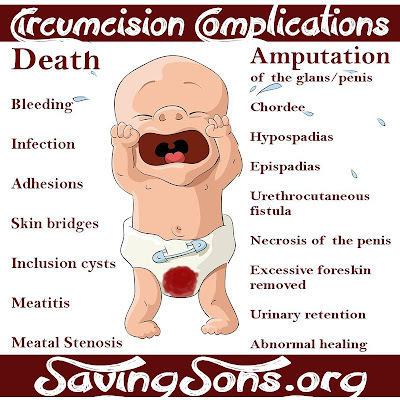 However, a clinic is ceasing their practice of circumcision, and selling their 3 for $175 each. 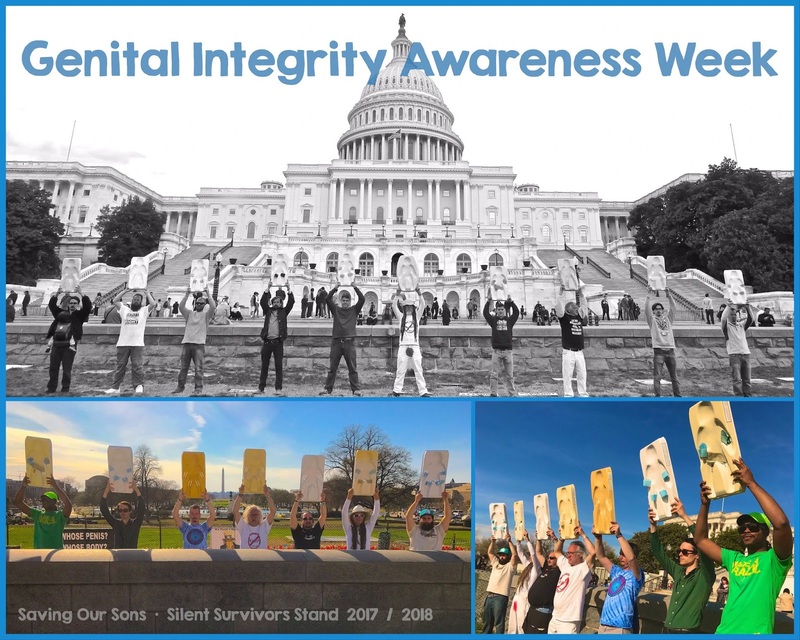 Please help us raise these funds so that 3 additional survivors of genital cutting can take part in the deeply moving Silent Survivors Stand at Genital Integrity Awareness Week this year (and beyond), and get them out of circulation -- using them instead for GOOD! We will update in the comments below and on Facebook with our progress toward needed funds to make this purchase, and publicly thank donors at the GIAW Sponsors page (first name only for privacy, or group/business link). THANK YOU for helping us get these, and to educate and raise awareness year round!! ⭐️ THANK YOU to Robert J. 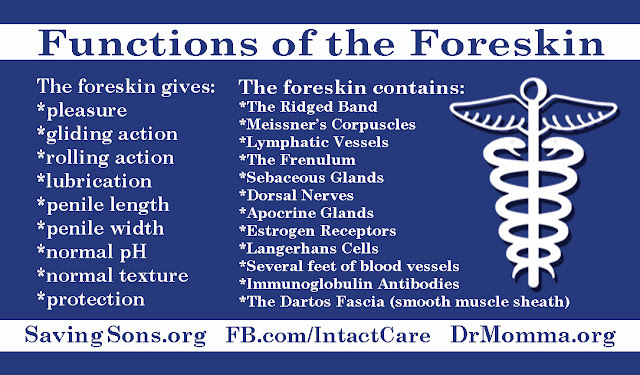 (pictured below) for his gift of funding one full (used) circumstraint for these awareness raising efforts! We have been honored to work with you, Robert, over the past decade at educational efforts in D.C. and value your contribution to the cause! ⭐️ THANK YOU to Kirk C. for his generous gift of funding one full (used) circumstraint for the Silent Survivors Stand! Kirk has been an instrumental part of getting GIAW off the ground this year, assisting with 20% of GIAW needs overall as well. The lives we will impact and the numbers we will reach this year will be incredible! 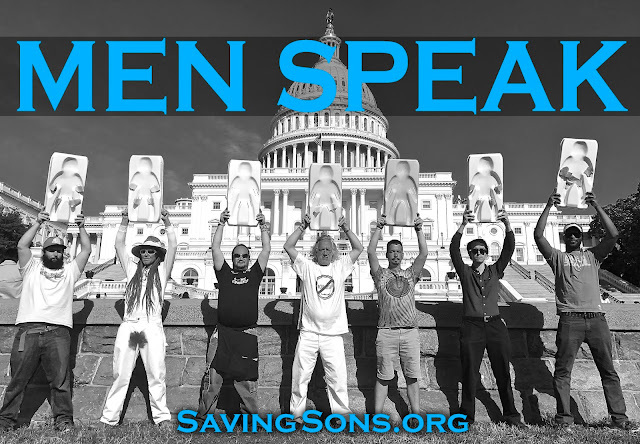 There will be an SSS for those survivors who wish to participate at the U.S. Capitol 30 minutes before we pack up each evening of GIAW; and 30 minutes after arriving to the White House on Saturday of the GIAW March. The SSS is a very powerful performance art piece that greatly moves those looking on. There are no spoken words or movements. 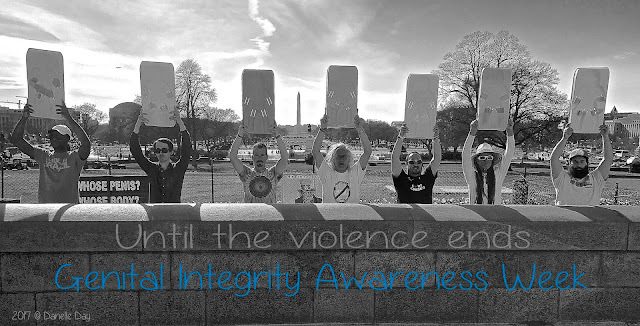 Survivors of genital cutting each hold a circumstraint above their head, and/or in front of their chest, dressed casually in their everyday attire, for a moment of silence in deep honor and authentic recognition. Reflecting on this display, one gentleman, Michael, observed, "Silence, used in the right context, is DEAFENING. 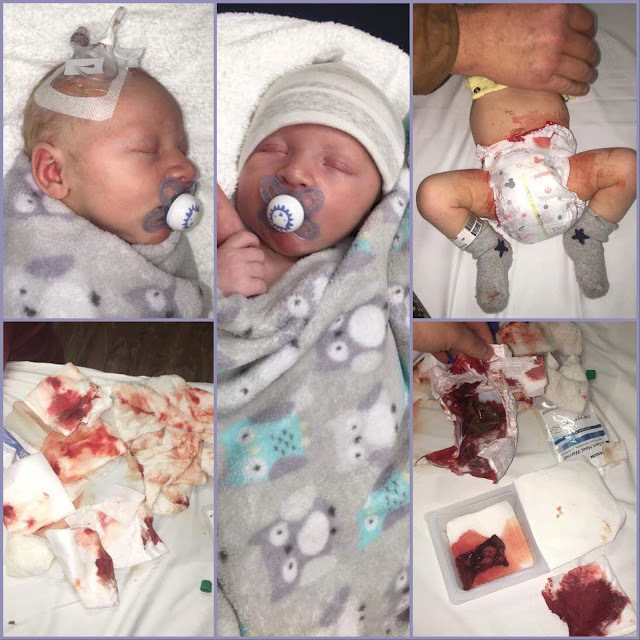 This can have a profound effect when used properly, and this is certainly one of those instances." During the SSS, materials are shared quietly and gently with those looking on so that they know what they are observing, and have a place to go for further information. Onlookers tend to gravitate toward this piece, with open eyes and inquisitive minds. 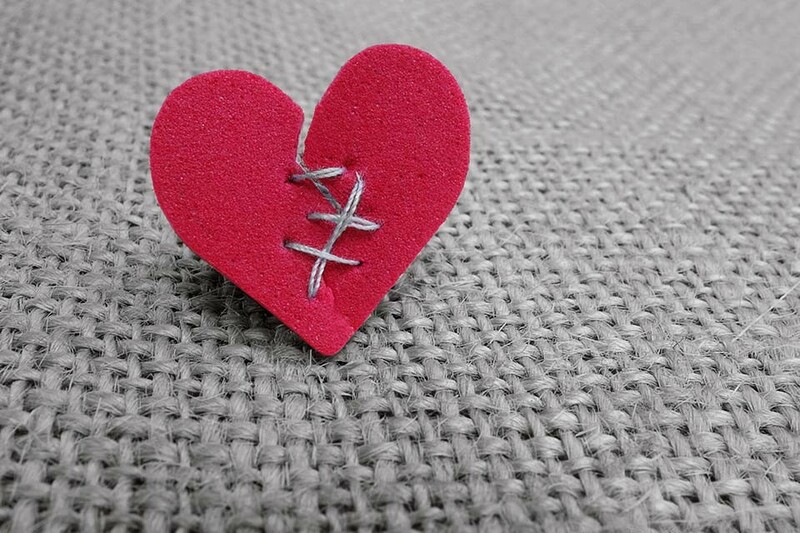 Respectful outreach and compassionate connection is possible, and lives are changed for the better. The Silent Survivors Stand began in 2011 when our beloved friend and fellow advocate, Van Lewis, left this earth, and his wife, Mary Alda, donated his educational circumstraint to Danelle Day of Saving Our Sons. 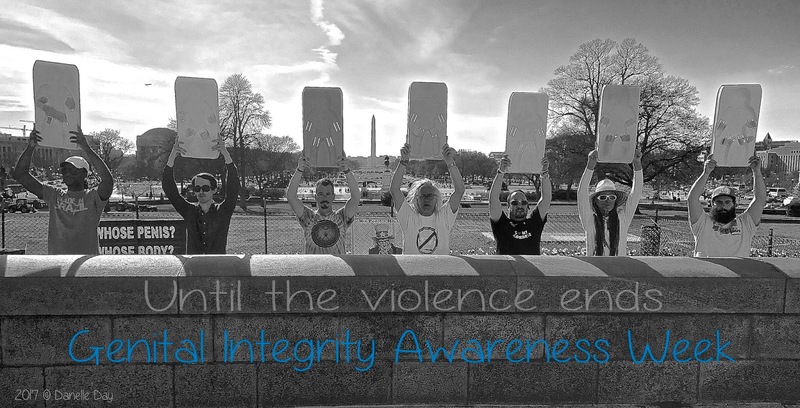 The first year, three survivors each separately took a stand with our single circumstraint - John B., Jonathon Conte, and David Wilson - in Washington D.C. in honor of Van, and all others impacted by genital cutting. We have made attempts to add at least one used circumstraint to the SSS in the years since, so that more survivors may participate collectively during public events. 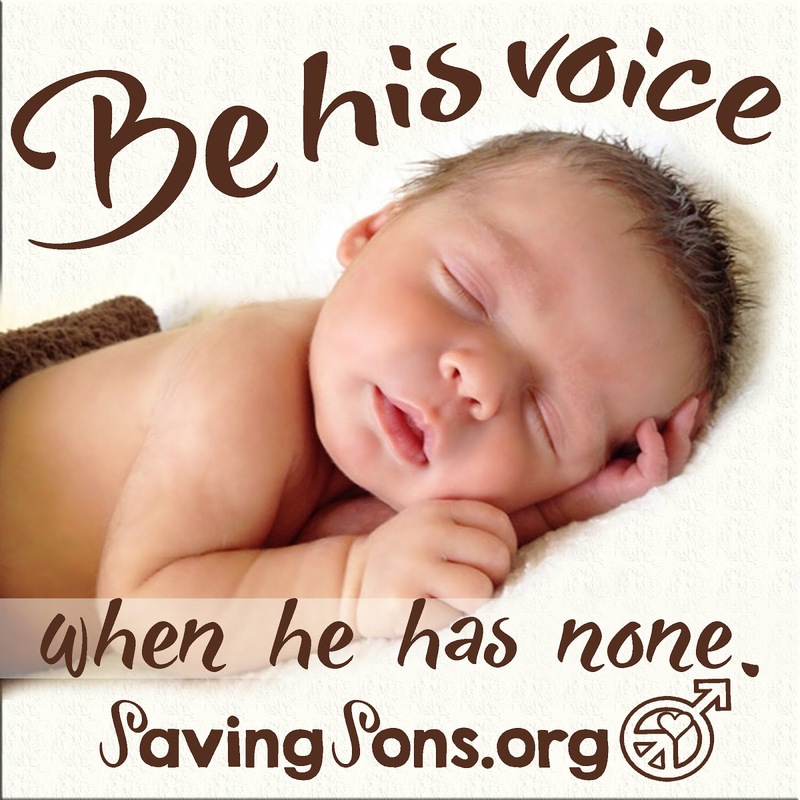 Saving Our Sons is exclusively run by volunteers and donation, and we thank you for being a part of this important effort in any way that fits you.